Home >> Articles >> That Music Stuck In Your Head? It’s Probably From a Video Game! Music has been an integral part of video games since the medium was invented. And, as the games and culture surrounding them have evolved, so have their soundtracks and the appreciation that people have for them. Video game music has come a long way since the eight bit and chip tune melodies that accompanied us as we put Mario through his paces or sent Pac Man after those ghosts. Today’s video game soundtracks are fully fleshed out musical numbers ranging from symphonies with distinct and independent movements to rock songs by mainstream and top 40 artists. There are two particularly iconic video game soundtracks that immediately leap to mind when we talk about video game music and how much of an impact it has had on our culture. The first, of course, is Final Fantasy. The other is the Legend of Zelda. Final Fantasy has many volumes and every fan has his or her favorite. The primary musical themes, though, wind their way through each volume and help create and support the narrative that binds more than a dozen volumes of this epic game together. The Final Fantasy score is a favorite among orchestras and symphonies alike. Even groups that don’t typically foray into pop culture compositions will perform selections from Final Fantasy. 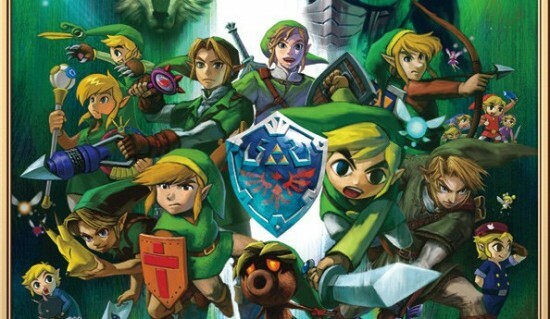 The Legend of Zelda—particularly The Legend of Zelda: Ocarina of Time—is one of the most highly respected and well received video games in the history of the industry. It has gotten rave reviews and even helped bring the ocarina back into mainstream culture…okay, mainstream geek culture but it still counts. Entire businesses have been created and dedicated to the music from The Legend of Zelda—these businesses mold and sell ocarinas, tablature for both the Legend of Zelda score and for other popular tunes, etc. If you’ve ever walked the floor at a pop culture convention you’ve undoubtedly come across at least one Link playing an Ocarina. The games aren’t the only reason that video game music is going mainstream. Musically talented nerds and geeks have picked up the video game music card and run with it. Two of my favorites are the Video Game Orchestra and Super Guitar Bros. The Video Game Orchestra (or VGO) is a hybrid rock band and full orchestra. The size and type of music they play depends mostly on the size of the venue and the number of musicians (and type of music) it can accommodate. The group formed in Boston in 2008 and their goal (which they accomplish handily) is to combine their love of video games and orchestral music. The band plays orchestral versions of older, eight bit and chip tune scores as well as pared down and rockier versions of the classical sounds featured in games like Zelda, Final Fantasy, Chrono Trigger, etc. This group has played symphony halls and geek conventions (they’ve headlined on the main stage at PAX for a few years). They were also the first orchestra to create and sell out a symphony hall show based entirely on video game music. It is the VGO that you will hear performing in Lightning Returns: Final Fantasy XIII. Super Guitar Bros are not actually brothers, they’re bros (line blatantly stolen from their Facebook and BandCamp bio). The duo consists of Steve Poissant and Sam Griffin and they play acoustic and classical guitar arrangements of their favorite video game music. Obviously they’ve covered music from Legend of Zelda and Final Fantasy. Their most popular arrangements, though, are The Super Mario World theme and Castevania’s main theme. They have played at PAX and tour infrequently but are always working on more music. It’s easy to point to groups like Super Guitar Bros, VGO, etc. as obscure and label them as merely “geek culture” but even mainstream musicians are trying to get in on the video game music genre. Groups from the Rolling Stones to Mylie Cyrus are allowing their music to be appropriated for Rock Band, Guitar Hero, Just Dance and other video games. Journey quietly contributed music to Mega Man. Bobby Darin’s “Beyond the Sea” was used in BioShock, Godsmack is featured heavily in Prince of Persia…you get the idea. The simple fact is that video games are no longer the purview of loners living in basements. They’re for all of us now and their music reflects that. Mainstream and geek cultures are bleeding together and the video game soundtrack is proof of that.